Marie Antoinette at Petit Trianon challenges common perceptions of the last Queen of France, appraising the role she played in relation to the events of French Revolution through an original analysis of contemporary heritage practices and visitor perceptions at her former home, the Petit Trianon. Controversy and martyrdom have placed Marie Antoinette’s image within a spectrum of cultural caricatures that range from taboo to iconic. With a foundation in critical heritage studies, this book examines the diverse range of contemporary images portraying Marie Antoinette’s historical character, showing how they affect the interpretation and perception of the Petit Trianon. 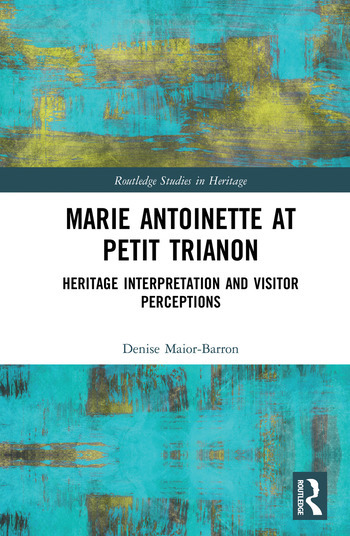 By considering both producers and receivers of these cultural heritage exponents - Marie Antoinette’s historical figure and the historic house museum of the Petit Trianon - the book expands current understandings of twenty-first century cultural heritage perceptions in relation to tourism and popular culture. A useful case study for academics, researchers and postgraduate students of cultural heritage, it will also be of interest to historians, keepers of house museums and those working in the field of tourism studies. Denise Maior-Barron is a Visiting Research Fellow at the School of Tourism at Plymouth University, UK, and a Reader at the Huntington Library, California, USA. She obtained her PhD from Plymouth University in collaboration with the Château de Versailles, France, following two consecutive research internships at this UNESCO heritage site. Her research focuses on critical cultural heritage and tourist consumption, with an emphasis on rehabilitative history and popular representations in the social imaginary.